This recent track features me on lead trumpet, & an improvised solo on flugelhorn. I arranged, composed, & produced this track. 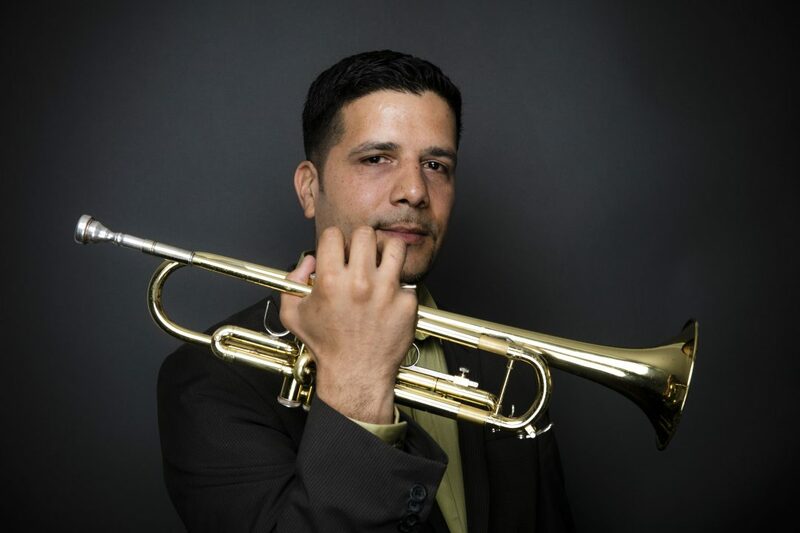 Les earned his Masters Degree in music from the Manhattan School of Music (Class of 1999), having studied, performed, and written musical works that range from contemporary classical to jazz. As a bandleader Les’ current projects include work on a 2nd jazz quintet album as well as writing, arranging and leading his own big band. Les recently recorded & co-produced his debut jazz album, “Nu.mer.als” (September, 2016). As a bandleader he had a successful residency at The 33 Lounge in Brooklyn, NY for most of 2016 as well as performing at the Renaissance Hotel Lounge in Midtown Manhattan. A big band project featuring Les’ compositions is also being recorded that should be released in early 2018. Les opened up for the “Yellow Jackets” while working with guitarist Jean Chardavoine (Festival International de Jazz de Port- au-Prince, 2015). *Recent activity in 2018 includes playing at Feinstiens’ Below 54 with Eric Petersen (“Kirstie Alley Show) Lead trumpet on Once Upon a Mattress (Abrons Arts Center, NYC, 2016 starring Jackie Hoffman). Trumpet w Josh Grisetti (Feinstein’s Below 54, 2015) Lead trumpet (regular sub) on Cabaret (Studio 54, NYC, starring Allan Cumings, 2014). Danny Aeillo “The Morning Show” (WPIX, NYC, 2008),“Good Day New York” (Fox 2010), and The Artie Lange Show (2013). Transcriptions for Don Byron, Savion Glover, Danny Aeillo, and by the Duke Ellington Band (Birdland). Arrangements for James Zollar’s album, “It’s All Good People.” in 2013. Compositions for June Cross, Series Executive Producer for The Faith Project to create music for the PBS documentary “This Far By Faith” in 2003. Arban’s page 140, #39 applied to “rhythm changes” variation.